Over 30 awesome activities, plus "Minions" of stickers... well, over 1,000 stickers! Feel like part of the tribe with Kevin, Stuart, and Bob as you search for buried treasure, puzzle over pyramids, and get bored silly in the Arctic, plus loads more! This book is bursting with mazes, games, doodling, and best of all--1,000 banana-rific stickers to decorate your world. 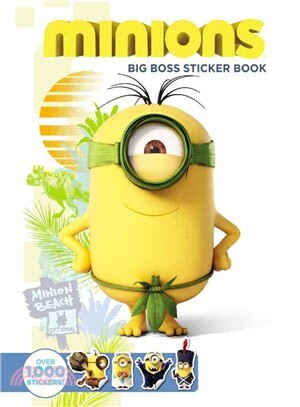 An ultimate sticker book featuring all your favorite sweet and subversive Minions! Minions c 2015 Universal Studios. All Rights Reserved.